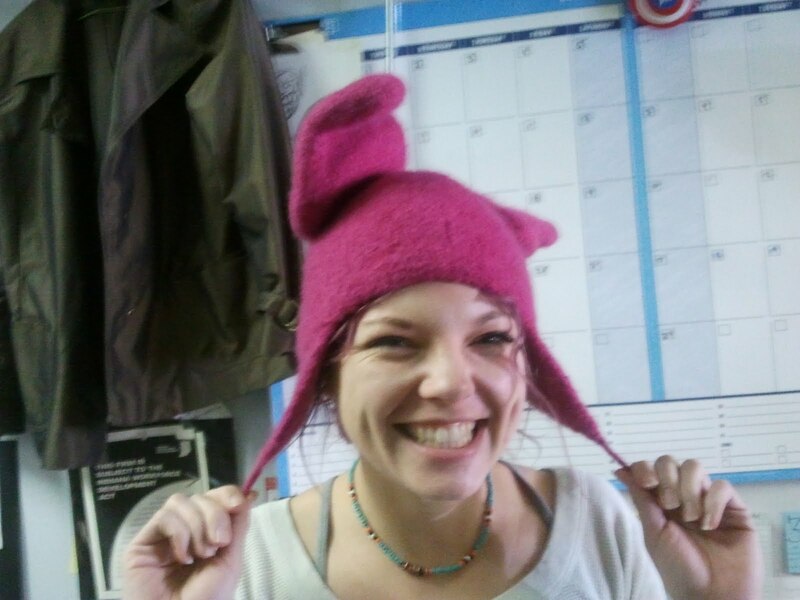 I made a bunny hat for my employee, and Naptown Roller Girl, Itsy Gitsy! She really wanted me to make this for her! I've got to work out a pattern for it, as I just free formed the thing! It started off HUGE until I felted it. I think it came out really cute! Bonus: when she talks while wearing it, the ears waggle. TOOOO adorable! Feel free to share that pattern. ;D It looks like the perfect gift for my nieces, this Christmas!